The Enforcement Directorate (ED) has slapped a money-laundering case on debt-laden Infrastructure Leasing & Financial Services’ (IL&FS’) former chairman Ravi Parthasarthy, vice-chairman Hari Sankaran, two subsidiaries and 18 others for allegedly siphoning off funds obtained from investors to develop infrastructure projects of Rs 74 crore. The move comes after the Delhi Economic Offences Wing (EOW) registered a first information report in December last year against the 22 accused under provisions of the Indian Penal Code for criminal conspiracy and forgery. Confirming the development, an ED official said “we are identifying and examining the proceeds of crime” emanating from the investments IL&FS subsidiaries have received from investors to develop Infrastructure projects. Following this, enforcement sleuths on Wednesday launched search operations on six premises (four in Mumbai and two in Delhi) since morning. According to the official, while this is just one instance that has come to light, there could be more significant amounts raised through banks and other means and misused by the managements of other subsidiaries in collusion with the group bosses. A source in the ED indicated that auditors and the independent directors of the debt-laden firm would be probed. The EOW has filed its first information report (FIR) after it had received a complaint by Ashish Begwani, director of Delhi-based Enso Infrast­ructure. 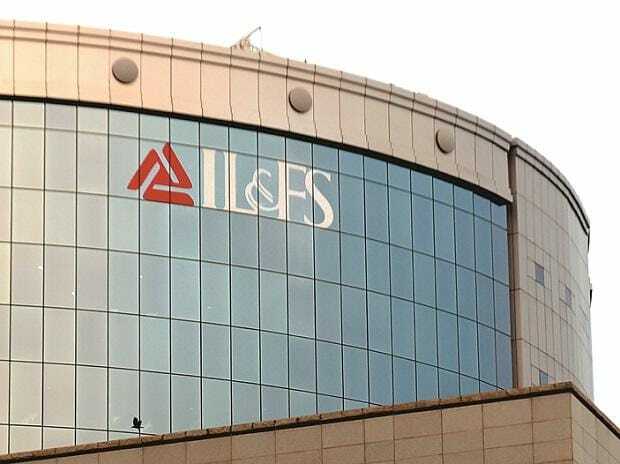 The complainant alleged he was approached by the IL&FS brass, including chairman Parthasarthy, Shankaran, and K Ramchand (directors of IL&FS Transportation Networks). Lured by good projections and promises, the complainant decided to invest Rs 170 crore in IL&FS Rail’s special purpose vehicle for Gurgoan Metro Project (renamed as Rapid Metro). The EOW report highlighted that that over the years, in order to increase the fund base and investor base and to lure them into making investments at each stage, IL&FS group has created a myriad, complex and non-transparent structure and a web of companies which has been initially promoted by the main company and subsequently by those companies itself. “It is pertinent to note that as much as 13.64 per cent shareholding of the IL&FS is held by employees trust and of which the principal beneficiaries are the senior management of the IL&FS,” said EOW report. On the one hand, IL&FS at the behest of the primarily accused, projected itself to be a government company based on which allurement of gaining new business is provided and on the other hand, it lured investors with rosy financial projection which are backed by their so-called experienced management team. Also the assurance to lay down the systems and processes backed by the credible auditor Deloitte is totally false. The EOW said that the evidences presented to them against all the accused showed that they have jointly conspired with the dubious companies and have individually and collectively committed the offences of misrepresentation, cheating, criminal breach of trust. The EOW report said the chairman and other directors is the main accused and mastermind behind the entire fraud perpetrated through the entities owned and controlled by them. Further, the board of directors of the company including former managing director, key managerial personnel have made representation which to their knowledge were false and dishonest. The EOW report cites serious allegation made by the complainant. According to him, for the project which has already implemented, the concerned company claimed the return on the equity investment will be as high as 18.4 per cent. While for the project under implementation, they projected costing $379 million on which return will be 15.10 per cent. Offence wing also highlights the evidences gathered by the complainant over a period of time. According to it, in May 2018, Income-tax department has issued demand notices to IL&FS Rail concluding that this company had issued bogus contract orders worth Rs 22.88 crore to Silverpoint Infratech, without any work was executed by this company. “As has been set out in the I-T assessment order and information gathered by me, there has been rampant falsification and generation of the bogus invoices procured from various dubious companies through which money has been siphoned off in each case by issuance of false and fictitious purchase order for non-existent work which culminated in the receipt of cash/black money in lieu of payments for the invoices raised by dubious firms. Complainant also claimed that this fraud of large sum of money have been taken place since 2011-12, says the EOW FIR quoting the complaint. The Serious Fraud Investigation Office too has submitted its interim finding in the case, alleging irregularities in several dealing raising serious question on the corporate governance.